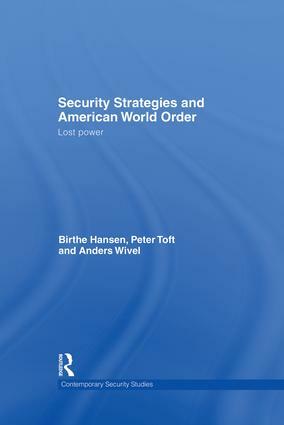 This book analyses security strategies in the American world order, systematically comparing Russian, Middle Eastern and European policies. The main finding is that the loss of relative power has decisive importance for the security strategies of states, but that particular strategies can only be explained when relative power is combined with ideology and the probability of military conflict. Research on the unipolar world order has focused largely on the general dynamics of the system and the actions of the American unipole. By contrast, this book focuses on states that lost out relatively as a consequence of unipolarity, and seeks to explain how this loss has affected their security strategies. Thus, in essence, the book tells ‘the other side of the story’ about the contemporary world order. In addition, it makes an important theoretical contribution by systematically coupling relative ideology and relative security with relative power and exploring their explanatory value. This book will be of great interest to students of international relations, security studies and foreign policy.